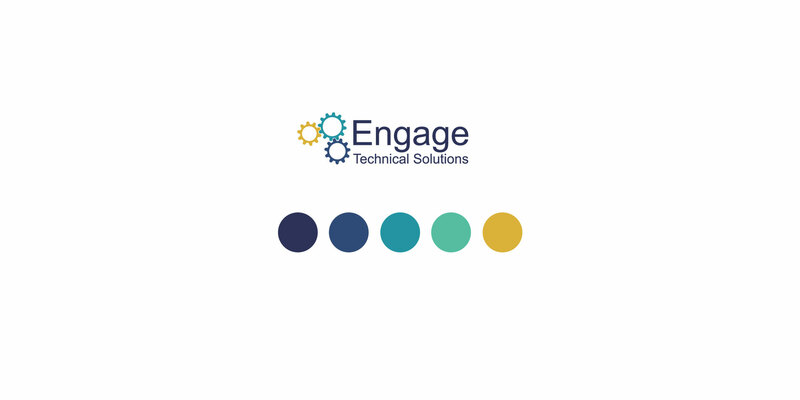 Engage Technical Solutions is a Wiltshire-based technical consultancy for Support Engineering and Integrated Logistic Support. 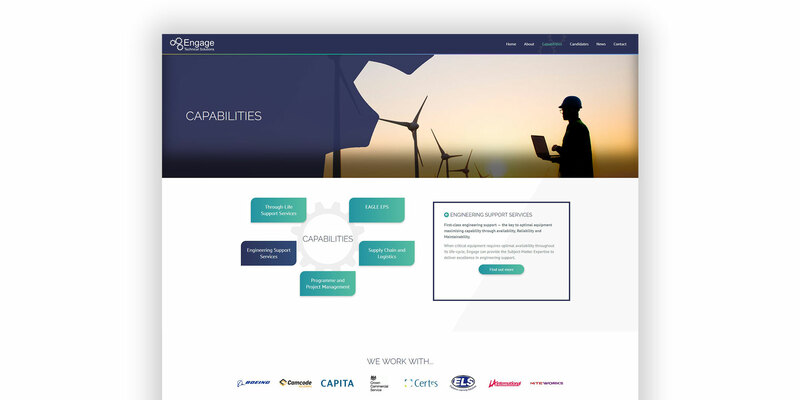 In essence, they provide beginning-to-end support for technically advanced projects, systems and equipment — such as those used by defence and aerospace. They are one of the UK’s leading companies in their field and have built up an enviable reputation for reliability and customer service. 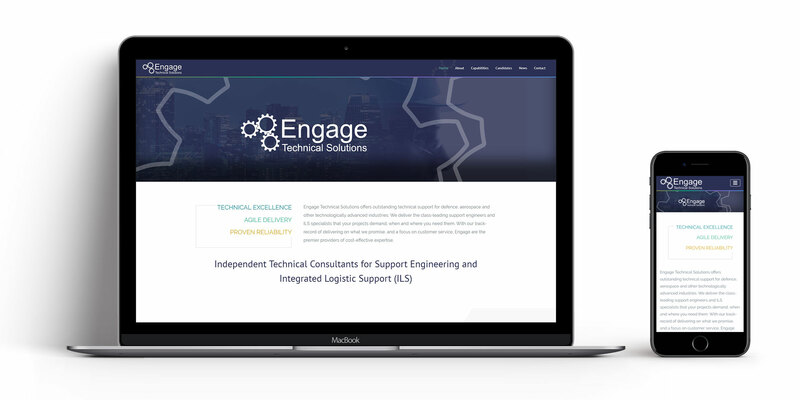 Engage approached us looking for a complete redesign of their website and we were happy to take on the challenge. Given the audience, we knew the text would be quite technical — so it was important to also give quick visual cues to identity what the company does. For the home page, we hit upon the rotating gear idea: this conveys the idea of engineering, as well as adding visual interest. Elsewhere on the site, images were carefully chosen to do the same job. In addition to a traditional navigation, we also introduced a ‘capabilities cog’ on the Home Page. This gives users a quick oversight of each service and links to the appropriate page. In crafting the text, we worked closely with the Engage team. Between us, we believe we’ve achieved the tricky balance between persuading (which needs one type of language) and informing a technical audience (which requires another).